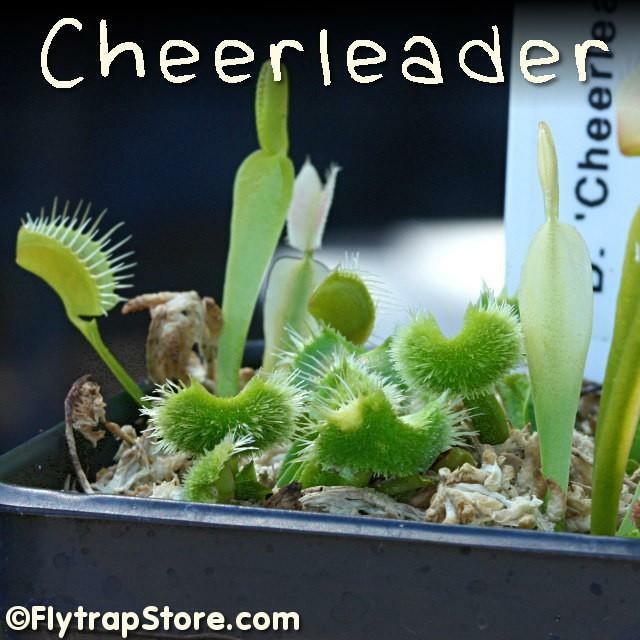 I received a few small divisions of Dionaea 'Cheerleader' from David Conner in a trade this spring. They have finally settled in and appear to be growing happily. I have to admit that I get a big laugh out of this plant's unique traps! This plant has also circulated under the name "Pom Pom" and "Hedgehog". 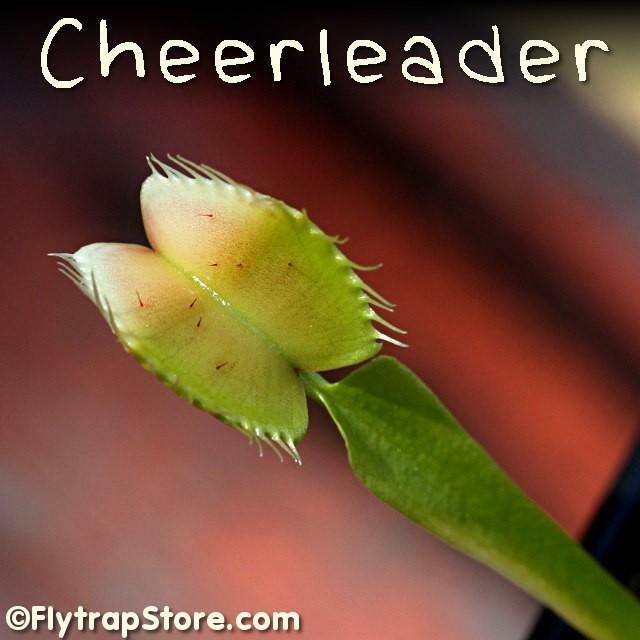 I have heard of this plant since I started the hobby many years ago, but I didn't know of anyone who actually grew one. I thought that I'd never get one of these and am extremely grateful to David Conner for sending me some! Something else I've noted about the plant: it seems to be missing pigmentation from time to time in its leaves and traps. The missing pigmentation doesn't seem to affect the health of the plant and seems completely random. Very interesting! I think that the missing pigmentation feature is very cool, but I absolutely love the little "Pom Pom" traps! So awesome!!! Oh that's just cool! I want one!!! Neat! Are those fuzzy traps functional at all? -How do you know, were you there? -Well actually I was there, and that's how I know the dinosaurs rode off into space. -Well how do you know, you weren't there,were you? Thats insane! 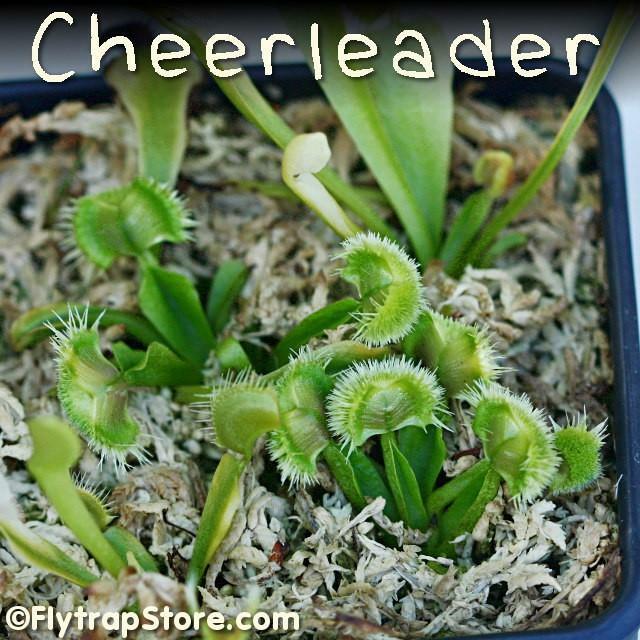 Are the traps with the pom poms functional? You have 2 Erics asking the same question at the same time lol. Dionae wrote: You have 2 Erics asking the same question at the same time lol. No, the fuzzy traps are not functional! In fact, they're just like little, thick, fuzzy balls on the top of the leaf. Well, I guess they're more like half-balls or hemispheres on the top of the leaf base. NICE! Congrats on getting one! 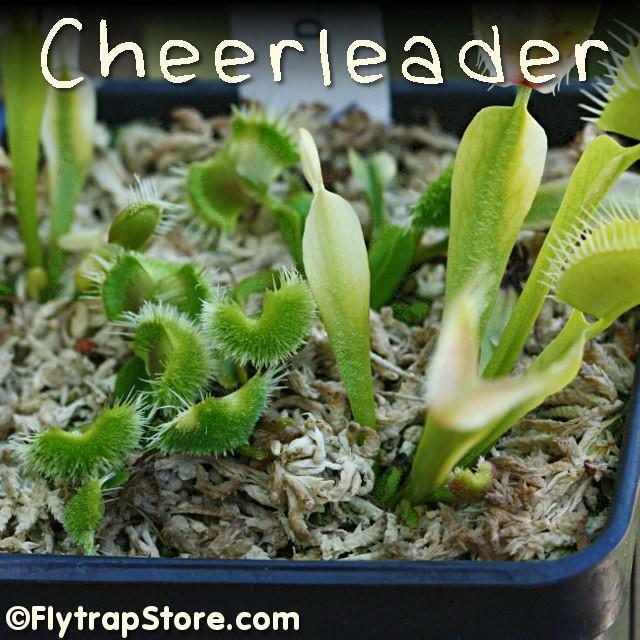 I think I saw it on your want list and a long list of flytrap cultivars on a website i cant remember the name of last year. I thought I read a story that it was no longer in existence because of failure to propagate, but then i also read it outgrows the pompom traps and needs to be either TC'd again, or propagated via rhizome?? Thanks for the pics too! 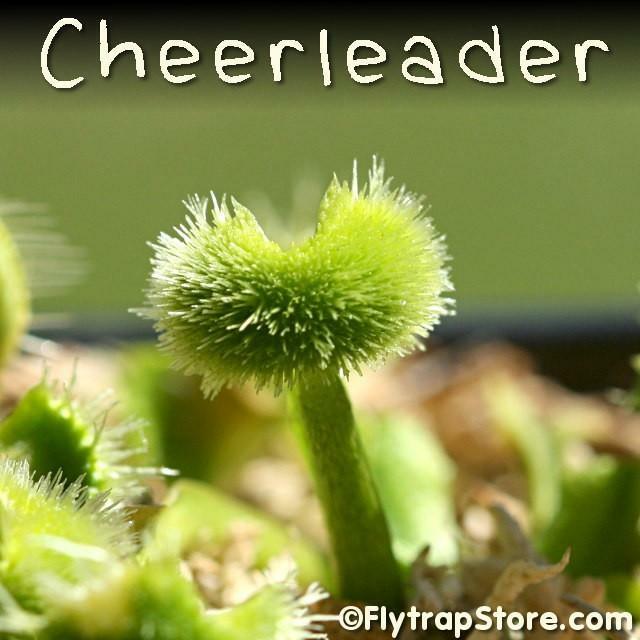 I've only ever seen one really old photo of Pompom/cheerleader and it didn't show the colors or up-close details of the plant. 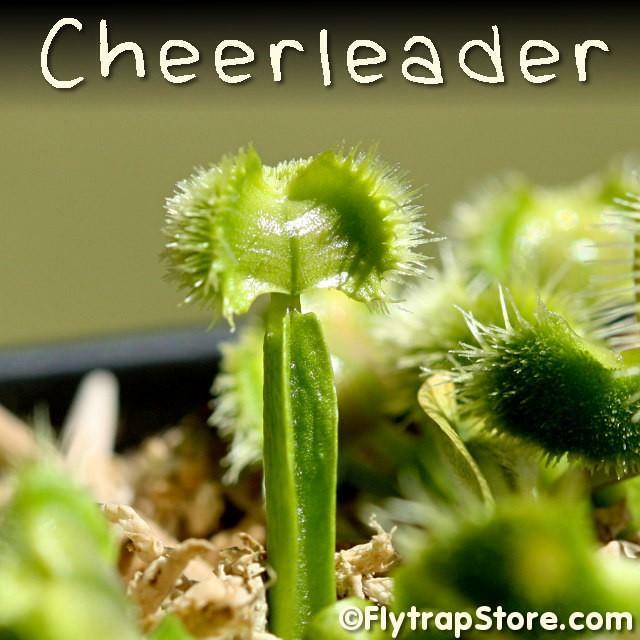 SundewWolf wrote: I thought I read a story that it was no longer in existence because of failure to propagate, but then i also read it outgrows the pompom traps and needs to be either TC'd again, or propagated via rhizome?? Yeah, I've read all of those things as well. Evidently it wasn't lost in cultivation. And it doesn't seem to be shy for me, so far at least, at producing the "pom poms" but I've only had these plants for a couple of months. Complete speculation...But do you think the pompom traps could be a version of the "spring/fall" traps while the normal shaped ones the summer traps? 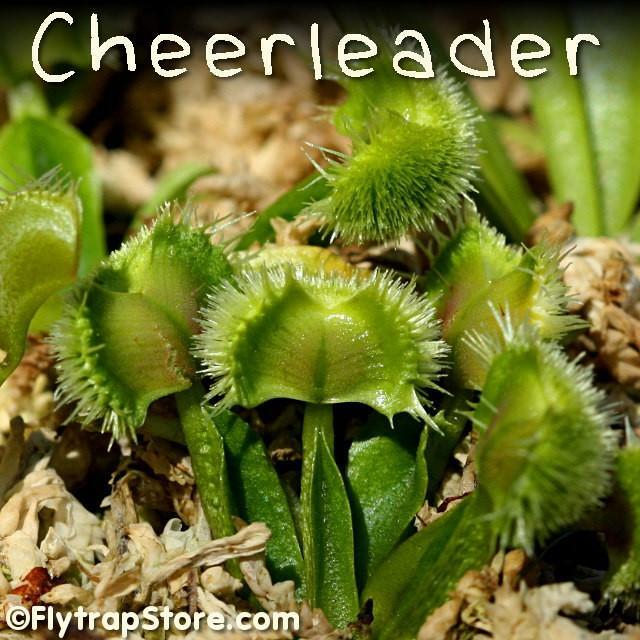 Like how some alter from ground hugging traps to tall traps through the season? Wow... I can't think of what to say to that. LOL! It's just... weird! Marvelous! SundewWolf wrote: Complete speculation...But do you think the pompom traps could be a version of the "spring/fall" traps while the normal shaped ones the summer traps? Grey wrote: Wow... I can't think of what to say to that. LOL! It's just... weird! Marvelous! Aw, man... That one is going on my want list! 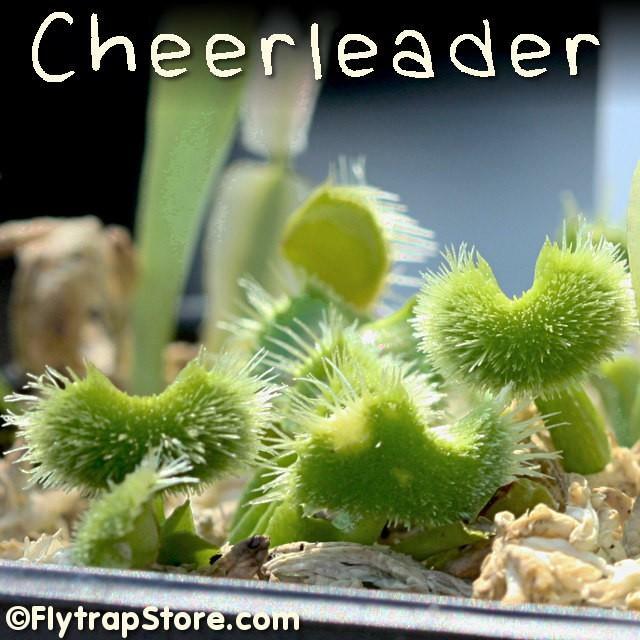 Wouldn't it be interesting if the pom pom parts were to produce dew like a drosera or pinguicula? On a side note, Matt: what's going on with the Angel Wings? Hopefully they'll be up soon . 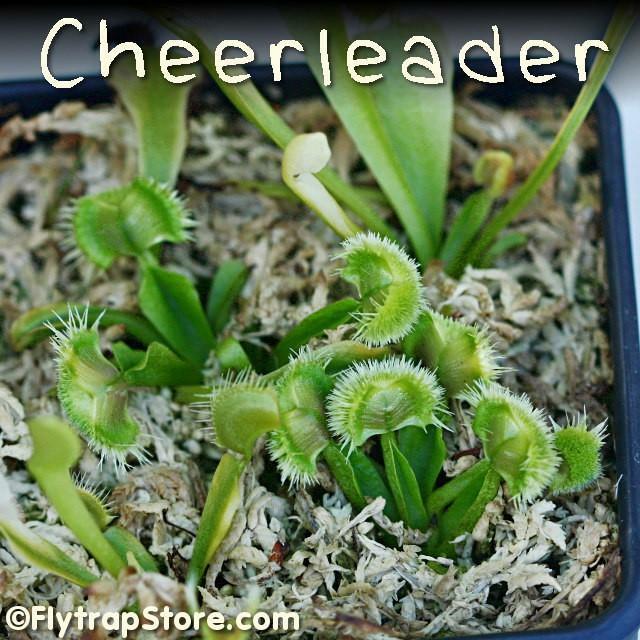 ironjaws wrote: Wouldn't it be interesting if the pom pom parts were to produce dew like a drosera or pinguicula? Yes, we do have some that are hardening well and should be available soon. 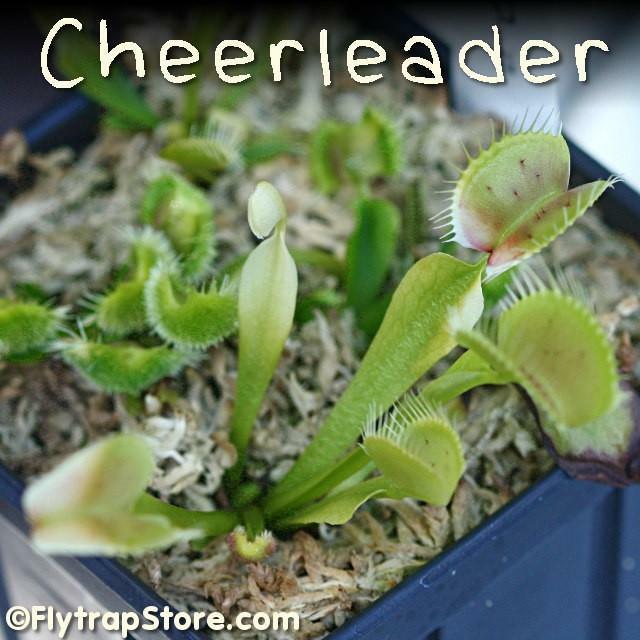 Does anyone have Cheerleader traps for sale ? These ought to be registered! Hi, I finally registered today.